RECAPTURE THE BEAUTY AND EXTEND THE LIFE OF YOUR FAVORITE SOFA, CHAIR, OR OTHER FURNITURE WITH COMFORT CARPET CLEAN. Our deep down cleaning system will bring back your upholstery’s vibrant colors, beauty, and freshness. Like all of Comfort Carpet Clean’s services, your satisfaction is guaranteed. Furniture uses a wider variety of fabrics, materials and construction than carpet. One cleaning process will not work on all fabric types. Upholstery is NOT something you’d want to trust with an inexperienced cleaning technician. You’ll get a Fort Collins carpet and upholstery cleaning technician who is certified to clean your precious furnishings. First, we’ll do a fiber inspection to determine the fiber type. Once we know the fiber we’re cleaning, we’ll be able to safely clean your upholstered furniture. As with your carpet, we’ll concentrate on drying your upholstery. We’ve learned that less problems occur with cleaning when the fibers are quickly dried. We’ll spend extra time drying your upholstery to reduce the possibilities of browning and fiber distortion. Special consideration must be given to color fastness and dimensional stability. 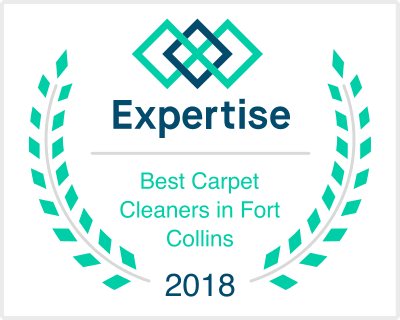 Fort Collins, Colorado's Comfort Carpet Clean has cleaning specialists who will evaluate and recommend the right cleaning process for your special fabric. We have been properly trained to help your carpet and upholstery get back to that new feeling. We are committed to providing top quality upholstery cleaning services to all of Northern Colorado, including Loveland, Windsor, Wellington, Greeley, Johnstown, and beyond. Sofas. You might spend most of your time either in your car, your bed, or your sofa. When your couch cushions are getting that smell like they haven’t been cleaned in years, it’s about time for a nice custom upholstery cleaning. Normally homeowners are cleaning their carpets once every 6 months or so. The same should be done with their upholstery, or at least cleaning the upholstery every one year. The process is pretty easy, and any carpet or upholstery cleaning company in Fort Collins can come over while you’re at work, and get the job done quickly and easily. Love seats. Your favorite seat deserves an upholstery cleaning as well, just for the simple fact that it will make it that much more enjoyable for you to sit in it! Any Lazy Boy or other comfortable chair that you watch football games while sitting in needs to be cleaned once every year to avoid giving you the allergies that can come with the repeated dirty foot stains left on it. Just give us a call at 970-680-8119 and we will come over and give your love seat that upholstery cleaning it’s been yearning for. Dining room chairs. Yet another item that you sit in every morning and night for breakfast and dinner. And when your dinner guests are smelling or looking at a stain that has sat on your cushion for way too long, their dinner might not taste as good. Cleaning the upholstery on your dining room chairs is quick and painless, and can be done in less than 15 minutes. Just give your Fort Collins Upholstery Cleaning company a call today and we can get it done for you. Cars, Trucks, SUV’s. The upholstery in your car, truck, or SUV is one of the things that is always getting beaten up. After you go for a long hike to Horsetooth Rock or enjoy a mojito on the patio at Austin’s American Grill in Old Town, you carry back dirt right into your car. Most people don’t detail their cars very often, and even then, the upholstery is not always cleaned. This is an easy job for us, and we can normally have your Car, Truck, or SUV’s upholstery cleaning done during the time you are eating lunch, or any time you are at work. We will come to you, and you simply have to unlock the car and let us do our handy upholstery cleaning work. Think about how nice it’s going to be when you get into your freshly cleaned seat! RV’s. We’re talking about your 30 foot Winnebago here. Or your 50 foot fifth wheel trailer. When you are taking the family cross country for an extended vacation, why not get a freshly cleaned RV with our upholstery cleaning services. You can get the best of both worlds when you are driving your prized camper all around the country and smelling the freshly cleaned carpets, seats, and upholstery within your RV. Your neighbors at the local RV campground will be envying your trailer for the next few months! Office chairs. Lastly, you spend the most time out of any of your day in your office chair if you are working that 9-5 job. When you sit down, give yourself the peace of mind that you need by getting your office chair professionally cleaned. A little upholstery cleaning can go a long way when you are at work! So, what is the benefit specifically of getting your upholstery cleaned? First, by doing so, you remove the dirt and allergens that has been stuck for so long in something like your couch cushions. This will help with any of your allergies, and help you to breathe clean, fresh air. Second, you will increase the lifespan of your couch, love seat, sofa, or whatever furniture item you are cleaning the upholstery for. Not only will you not have to re-upholster your furniture so much, but you will save time and money having to pick out new furniture. Third, your house will smell fresh and clean from the upholstery cleaning that was just performed. 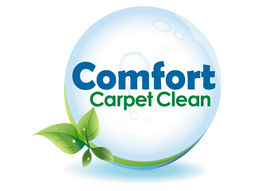 Johnstown, or anywhere in Northern Colorado, simply give Comfort Carpet Clean a call today at 970-682-8119.